There are 26 Assisted Living Facilities in the Pueblo West area, with 3 in Pueblo West and 23 nearby. The average cost of assisted living in Pueblo West is $3,427 per month. This is higher than the national median of $3,346. Cheaper nearby regions include Pueblo with an average starting cost of $3,197. To help you with your search, browse the 76 reviews below for assisted living facilities in Pueblo West. On average, consumers rate assisted living in Pueblo West 4.0 out of 5 stars. Better rated regions include Pueblo with an average rating of 4.1 out of 5 stars. Caring.com has helped thousands of families find high-quality senior care. To speak with one of our Family Advisors about assisted living options and costs in Pueblo West, call (855) 863-8283. Pueblo West is a city in Pueblo County that offers residents views of the Rocky Mountains during the day and star-filled skies at night. It has a relatively small senior population — just 6 percent of the city's 30,000 residents are aged 65 and older. There are three assisted living facilities in Pueblo West catering to these seniors and a further 23 in nearby communities, including Pueblo, Florence and Colorado Springs. 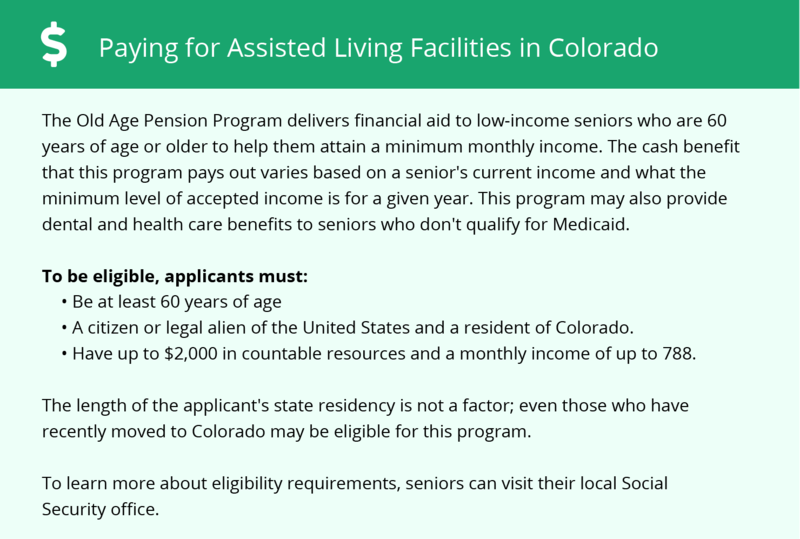 In Colorado facilities that receive Medicaid reimbursements must meet additional requirements and are referred to as alternative care facilities. All assisted living facilities are administered by the Colorado Department of Public Health and Environment. Colorado State, including Pueblo West, is a member of the AARP Network of Age-Friendly Communities, meaning that its elected leadership “has made the commitment to actively work toward making their town, city or county a great place for people of all ages,” according to AARP. Pueblo West has 254 sunny days each year, almost 50 more than the national average, which may appeal to seniors who enjoy the outdoors. The average high temperature in July is 91 degrees. Winters can be cold, with average lows in January of 16 degrees and an average annual snowfall of 23 inches, three inches fewer than the U.S. average. Retirement income in Colorado is subject to income tax, but there are large deductions available to retirees which can significantly reduce seniors' tax bills. However, sales tax is higher than the national average which may impact the budgets of seniors with a fixed income. Public transit options in Pueblo West are limited, but seniors may be able to access the Pueblo County Non Emergency Medical Transportation Service. This provides eligible residents with transport to medical appointments at Health First Colorado facilities. The overall cost of living in Pueblo West is 106 according to the Sperling index. This is six points higher than the national average. Groceries and transport are expensive but seniors with regular health care costs may save money as health care is 7 points less expensive than the national average. The Pueblo West area is home to world-class medical facilities, including Parkview — Pueblo West Emergency Services, in the event of medical emergencies or illness. Assisted Living costs in Pueblo West start around $3,427 per month on average, while the nationwide average cost of assisted living is $4,000 per month, according to the latest figures from Genworth’s Cost of Care Survey. It’s important to note that assisted living rates in Pueblo West and the surrounding suburbs can vary widely based on factors such as location, the level of care needed, apartment size and the types of amenities offered at each community. 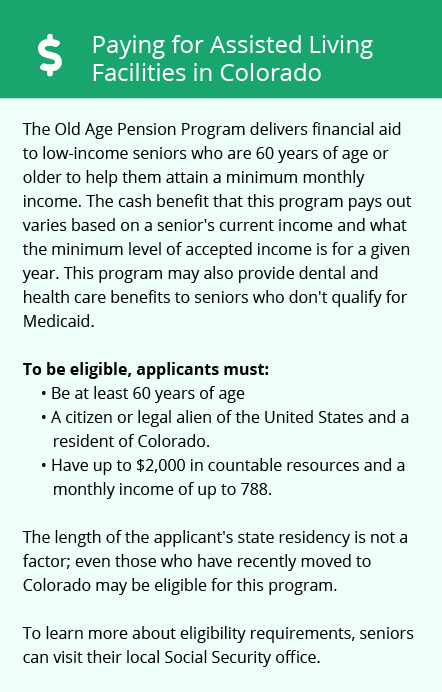 Financial assistance is available for eligible seniors in Pueblo West through the Home and Community-Based Services Waiver for persons who are Elderly, Blind, or Disabled (EBD), which helps fund residents in alternative care facilities. To see a list of free assisted living resources in Pueblo West, please visit our Assisted Living in Colorado page. Pueblo West-area assisted living communities must adhere to the comprehensive set of state laws and regulations that all assisted living communities in Colorado are required to follow. Visit our Assisted Living in Colorado page for more information about these laws.